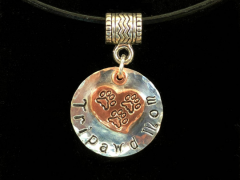 This Tripawd cat on the moon sterling silver pendant is a constant reminder of your TriKitty’s courage and strength. Three-legged Kitties are so pawesome! Nimble and spry as ever, amputee cats are incredible inspirations. 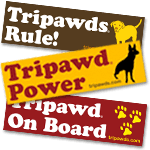 If you’re a Tripawd cat mom, this is the perfect way to show your Tripawd pride. Our hand stamped sterling silver washer measures 1.25″ diameter. The cute little cat in the moon is not sterling but it’s pewter and lead-free. Includes a free adjustable leather cord in brown our black. 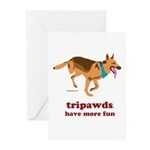 All pendant charms are handmade by Tripawds founders Jim and Rene. 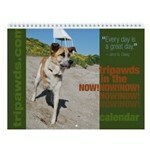 Every metal stamped three paw artwork is unique, no two are alike. Your pendant is wrapped in a free gift bag and shipped to U.S. customers via U.S. postal service first class mail. 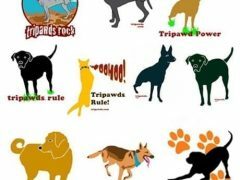 Your handmade jewelry purchases benefit the Tripawds.com community, which provides education, resources and support to pawrents of dog, cat and animal amputees because of bone cancer, accidents and birth defects. Thank you for your support. 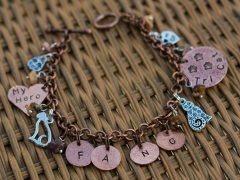 FYI, tiny imperfections may exist but keep in mind that’s what gives it the one-of-a-kind, handmade look 🙂 Tripawds jewelry includes a 100% Satisfaction Guarantee against manufacturing defects. 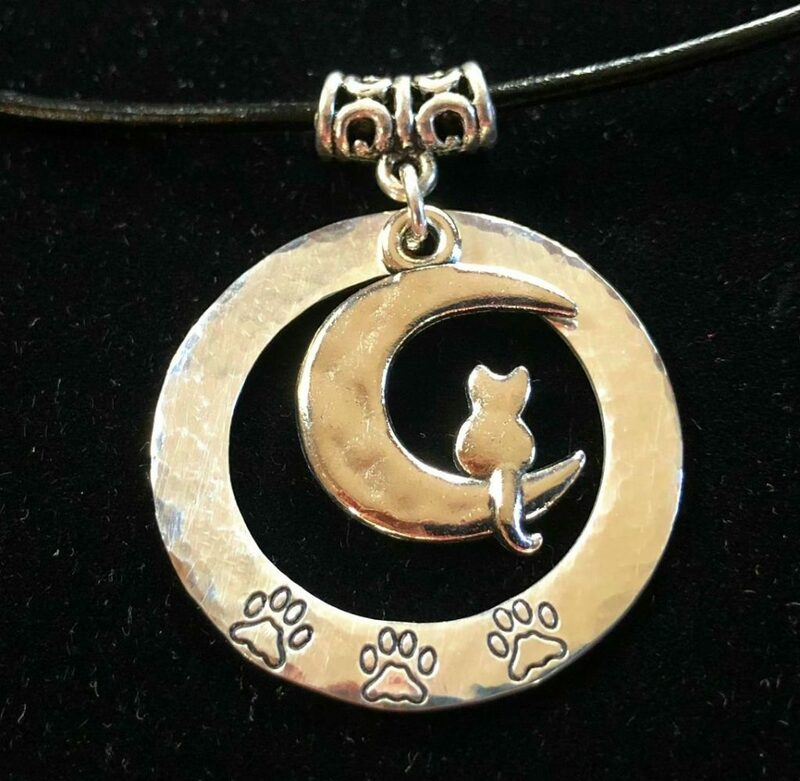 Be the first to review “Sterling Silver Tripawd Cat on the Moon Pendant” Click here to cancel reply.